What Foods Are Dangerous to Dogs? Pet Insurance Australia takes an important look at the human foods that can cause major illness in dogs. PLUS; top tips to keep your pet safe from accidental poisoning. One this is for certain; our beloved canine companions are well-known for their scavenger tendencies. It’s not uncommon for many vets around the globe to hear of horror stories of what dogs have managed to find and eat, from socks and underwear to knives and even fish hooks (OUCH!). Interestingly some human food can be just as traumatic to your dog as the above, leaving many unsuspecting owners at a complete loss to their pet’s illness. 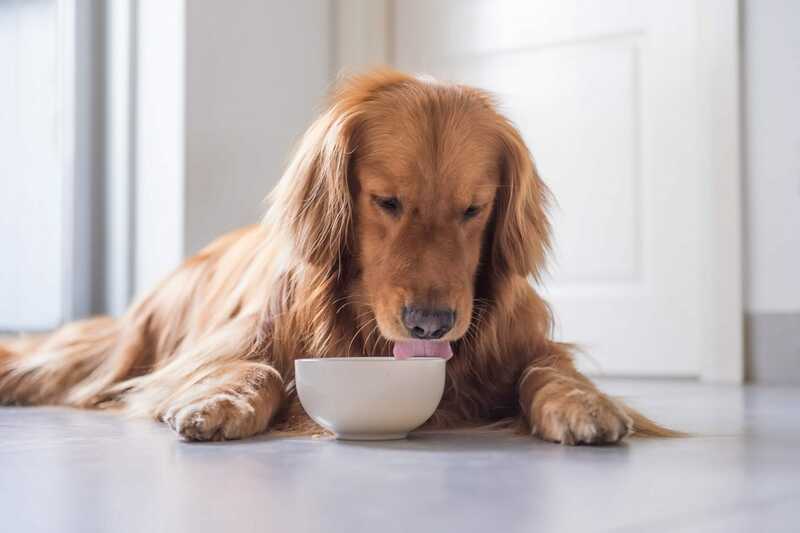 There are a few obvious inclusions in the list of what foods are dangerous for dogs to eat however, some are also quite surprising. It is also important to remember the risk of your pet eating rotten foods from rubbish bins, or accidentally ingesting items such as corn cobs and skewers. Always ensure you secure bin-lids with something heavy to prevent your dog sniffing out and finding all of those delectable rotting left-overs. Avocado – ingestion can cause stomach upset in dogs as it contains a toxic agent known as persin. The seed is the most dangerous as it can cause intestinal blockages that may require surgery to remove. Luckily this type of poisoning is quite rare in dogs. Chocolate/Caffeine – this is highly toxic to dogs and is very dangerous for dogs to eat. Chocolate contains two ingredients that can lead to illness in dogs including Theobromine and caffeine. If you suspect your pet has ingested any chocolate or caffeine seek veterinary advice quickly. This type of poisoning is very common in dogs. Cooked Bones – it is advised to only feed your dog raw bones and under strict supervision. Raw bones easily splinter and cause much distress in dogs. Corn-cobs – these sneaky golden delights are very commonly removed from the stomach of dogs. Keep all corn-cobs away from your precious pooch. Grapes/Raisins – grapes and raisins can lead to kidney failure in some dogs that are sensitive to the toxin. It is not exactly known what it is about these plump little fruits that can cause sickness, but all experts agree to never feed your dog this toxic treat and to be careful with products that contain grapes or raisins such as hot-cross buns. Milk – this is not suitable for dogs and can lead to an upset stomach. It’s best to always stick with pet milk only. Nuts – Macadamia nuts are by far the worst, however due to their high fat content it is advised to not allow dogs to consume nuts of any variety. Onions/Garlic – both can cause stomach irritation and poisoning and lead to anemia. Keep all take-out food away from your curious pup as most will contain high levels of onions or garlic. Fatty Foods – such as butter and other forms of fatty foods. This can lead to pancreatitis in dogs and is very damaging to their digestive systems. Fatty foods can also lead to an overweight and sick pet. This includes bacon, trimmings and others fatty foods such as gravy. Xylitol – this sugar replacement is highly toxic to dogs and is found in many sugar-free alternatives such as gum, soda and cakes (and even in some peanut butters). It can lead lowered sugar levels or hypoglycemia in dogs that can be fatal. Only a small quantity can cause large problems. What food is toxic to dogs? The above is a good list of foods that are toxic to dogs and unsafe for dogs to eat. However, it’s also a good idea to remember some of the other foods that can cause a lot of upset to your pet and in some cases – particularly with very old or young, or sick pets – can lead to death. Blue cheese, for example, can contain Roquefortine C that can lead to sickness. All moldy foods will also cause illness in dogs. It’s always paramount that you check your dog’s food for spoiling and do not feed moldy, unsafe leftovers to your pet. Terms, conditions, waiting periods and limits apply. Pet Insurance Australia is general insurance issued by the insurer The Hollard Insurance Company Pty Ltd (ABN 78 090 584 473; AFSL 241436) (Hollard), is distributed and promoted by Pet Insurance Australia Pty Ltd (ABN 85 113 507 850; AR 326233) (Pet Insurance Australia) and administered by PetSure (Australia) Pty Ltd (ABN 95 075 949 923 ; AFSL 420183) (PetSure). Pet Insurance Australia acts as an authorised representative of Petsure. Any advice provided is general only. Please consider the Product Disclosure Statement available from www.petinsuranceaustralia.com.au in deciding whether to acquire or continue to hold, Pet Insurance Australia Pet Insurance.